The phenomenon of 'climate warming' has been touted as the ultimate environmental risk of the future. This occurrence is being linked to potentially cataclysmic processes such as widespread flooding, hurricanes, and the concomitant, permanent loss of land-mass. It may also lead to large-scale damage to locations that are normally ice- and snow-locked. 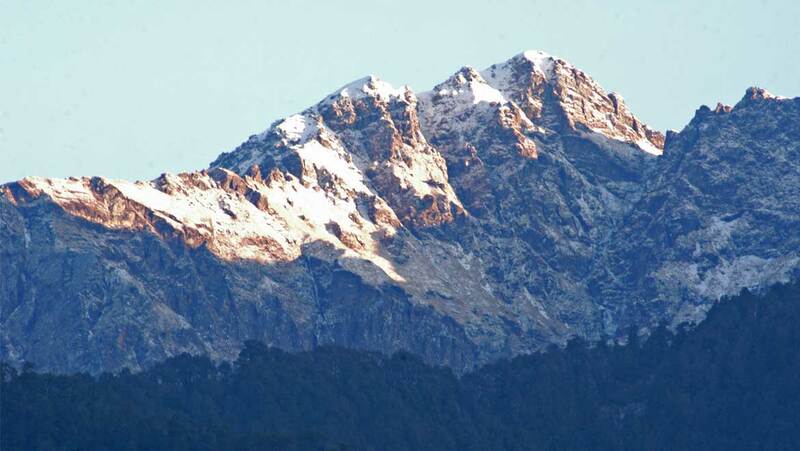 The latest example of effects of climate change is the Indian Himalayas. New research demonstrates that temperature increases are associated with increased susceptibility to avalanches in this region. This is a serious implication, as more avalanches mean severe, possibly mortal, danger to every living being in these areas. The Indian Himalayas is a region characterised by land at extremely high altitudes that is normally influenced by low temperatures and large masses of snow. It is primarily located on the Indian subcontinent and forms the western part of the mountain range - some of them are located in Kashmir while others are a part of the Hindukush-Karakoram-Himalaya (HKH). The people of the Western Himalayan regions are profoundly affected by the presence of the mountains and the snow they contain, in terms of economic concerns, transport routes and personal safety. For example, there are a few safe passes through the region to the rest of the country, and its destruction would leave nearby towns such as Ladakh completely cut off for much of the year. Therefore, avalanches in this region could be devastating for the people and animals living there. Furthermore, the snow slides pose a substantial risk to the Indian Government's ongoing project of constructing a new transit tunnel through the HKH region. Avalanches - colossal flows of snow down a gradient related to changes in the lower layers of said snow mass - are mostly spontaneous occurrences. However, they can occur because of human interventions. Anthropogenic climate warming could lead to an increased frequency of avalanches. In addition, other human activities, such as deforestation or even new re-forestation could influence these types of disasters. The avalanches that are known to affect the HKH region fall into two broad categories: 'powder-snow'-type avalanches (which are thought to be associated with cold, wintry conditions) and those composed of wetter, denser snow, mostly found in warmer regions. A team of researchers from universities in Geneva, Alcalá in Spain and Grenoble in France have decided to model and project avalanche risks in the HKH region. They did this through a study of trees in the region. The methodology was based on the observation that every individual avalanche leads to growth abnormalities in these plants, as shown in their rings, associated with the time-frame in question. Therefore, avalanche rates and risks can be extrapolated from the evaluation of tree-rings in affected regions. The researchers were able to construct a data-set spanning 150 years in this manner. Consequently, they were able to reconstruct the timeline of all avalanches during this period as well as the extent to which each one drove snow downhill. This is a well-validated method accepted in avalanche science and has been employed for years in comparative studies of European snowfall events. The team also applied a linear auto-regressive model of moving averages to the data and compared it to regional temperature trends for the same 150 years. They concluded that increasing temperatures during early spring and winter was likely to affect the risk of wet-snow avalanches. They also found that these avalanches were increasingly capable of reaching much closer to sea-level, to the extent that they can invade sub-alpine heights in the HKH region. This observation, the team maintains, could pose a much greater danger to transport routes, especially newer ones, and the people and animals travelling through them. The scientists published their findings recently in a March 2018 edition of the journal PNAS. In this paper, the team reported that there were virtually no avalanches in the region between 1939 and 1969. However, avalanche frequency increased to 0.875 or more per year from 1970 to 1977, and then again from 1989 to 2003. This was shown to be a dramatic departure from the overall 150-year average frequency, which was calculated at 0.24 avalanches per year. The areas covered also experienced a dramatic increase between the years of 1970 and 1990. The team's auto-regression model indicated that the probability of avalanche increased with temperature over the relevant months. This study offers evidence that human activity can influence avalanches. In addition, it may substantiate observations that climate warming is a danger to the cryosphere, which maintains significant snow or ice masses in certain regions. The inability to retain these frozen surfaces at certain latitudes or altitudes may lead to increased risks of flooding. It was also suggested, in the study, that increased global temperatures could lead to avalanches that can affect much more low-lying areas than normal. Such findings could help inform people about the measures they may have to take to avoid the dangers of avalanches to their properties - not to mention, their lives - in the future. Ballesteros-Cánovas JA, Trappmann D, Madrigal-González J, Eckert N, Stoffel M. Climate warming enhances snow avalanche risk in the Western Himalayas. Proceedings of the National Academy of Sciences. 2018. Leone F, Colas A, Garcin Y, Eckert N, Jomelli V, Gherardi M. The snow avalanches risk on Alpine roads network. Assessment of impacts and mapping of accessibility loss. Journal of Alpine Research| Revue de géographie alpine. 2014(102-4). Baggi S, Schweizer J. Characteristics of wet-snow avalanche activity: 20 years of observations from a high alpine valley (Dischma, Switzerland). Natural Hazards. 2009;50(1):97-108. Suicide Attempts On The Rise: How Do We Help?